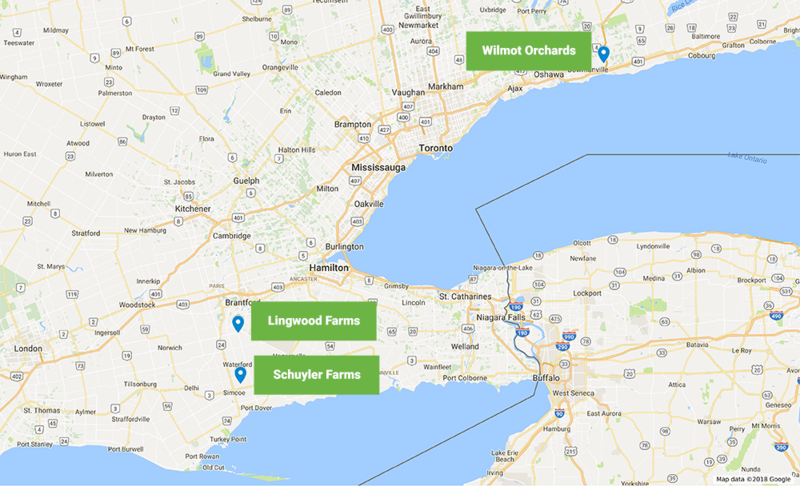 Last week, Hyperactive interviewed workers and farmers at three farms in Southern Ontario: at Wilmot Orchards, at Lingwood Farms, and at Schuyler Farms. 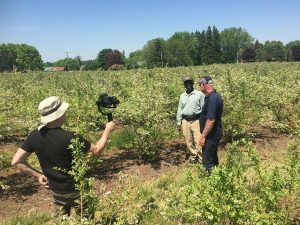 They were able to see a variety of farming types and crops ranging from blueberries to asparagus, from apples and cherries to corn and soy. they also met workers from a number of countries including Barbados, Trinidad, Jamaica, and Mexico. An emerging theme from this trip was one of integration and personal/career advancement as a number of the workers talked about positive progress in their relationship with both their employers and with Canada. 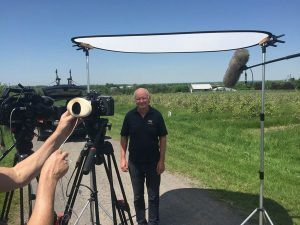 Joseph (Hackett), a long-time worker at Wilmot has become a member of the local Lions Club and participates with his boss every year in the “Ride to Conquer Cancer”. The film crew were also deeply touched by the story of Kevin, father of 11 children. 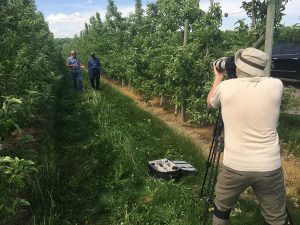 He credits his tenure at Lingwood with his ability to support all of his children, most importantly his five year old son who suffers from sickle-cell anemia and who requires medication that would be beyond his family’s reach if it weren’t for Kevin’s role as an international farm worker. 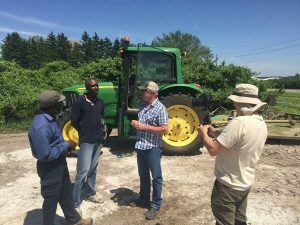 At Schuyler Farms, they met Gary, a long term employee who has immigrated to Canada, married a Canadian woman, and bought a house just up the road from the main farm. They also had the opportunity to talk to some of Schuyler Farm’s female workers from Trinidad – a rarity in this program. Thank you to Charles Stevens, Murray Porteous and Brett Schuyler as well as their workers, for accommodating us and being so generous with their time! Next up – Quebec and British Columbia!